Blake’s 7 and Firefly are two of the most beloved science fiction, which is pretty incredible when you consider that both had a relatively brief run of television. Both shows have many similarities with one another. Both are space westerns that draw on old classic films such as the Magnificent Seven for inspiration. Both feature characters who are less sympathetic and more morally grey. Both are set in a more dystopian future where technology has improved but nothing else has. Both are also not afraid to kill their lead characters suddenly, violently and without warning. Both centre on a group of refugees, outlaws, liars, cheats and neer do wells who are on the run from a powerful organisation. Finally both revolve more around the conflict between humans rather than between human beings and alien races unlike other science fictions series such as Doctor Who, Babylon 5 and Star Trek. 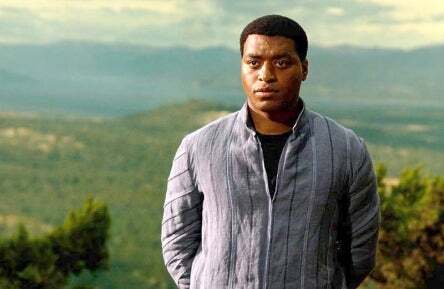 From its inception Firefly has been compared with Blake’s 7. 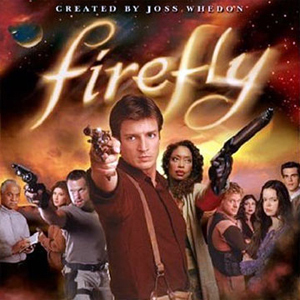 Google Blake’s 7 and Firefly and you will find dozens of articles and blogs comparing the two, some even claiming that Firefly was closely inspired by B7. 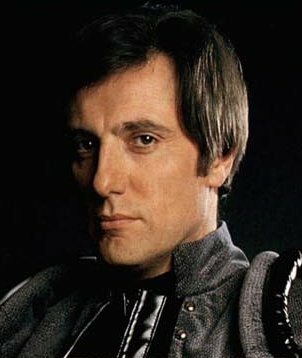 Paul Darrow the star of Blake’s 7, even called Firefly “the Blake’s 7 of today”. However despite this, Joss Whedon much to sci fi fans around the worlds surprise recently claimed in a new biography that he never watched Blake’s 7, or indeed any other British science fiction series such as Doctor Who. Any similarity between the two shows is therefore purely coincidental. Still I do feel there are enough similarities between the two shows to warrant a full comparison. Tell me what you think in the comments below, not only of my article but just of B7 and Firefly in general. I am going to have to go with Firefly on this one. Blake was a great character. He was a truly flawed hero. Though charismatic, brave, loyal and genuine in his desire to free the oppressed masses from the tyranny of the federation. Blake was still nevertheless also obsessive, fanatical, arrogant and perfectly willing to sacrifice millions of innocent lives, including his own men for what he saw as the greater good. However Malcolm I still feel is a better character in every way to be honest. First off he had a better look. Malcolm’s costume is an iconic costume. 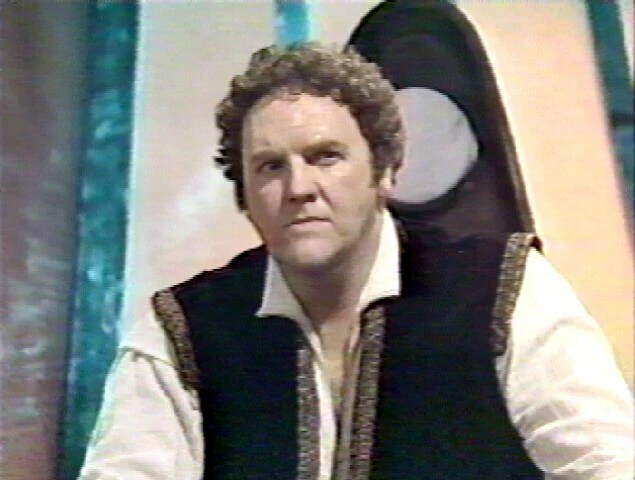 I know that sounds shallow, but its true, Blake never really had an iconic look that was recognisable like other sci fi characters such as the Doctor, Reynolds or Captain Kirk. Also I feel that Reynolds was a stronger central character. Thing about Blake was he was always kind of pushed to the side in favor of Avon. Even before Blake left, Avon was always everybody’s favourite and today Avon is the character everyone remembers the most. Reynolds however was never usurped by any of the other characters, though granted Firefly had a shorter run. Still even if it had gone on as long as B7 I don’t think Reynolds would have been pushed to the side. Both Reynolds and Blake were more idealistic leaders of a band of outlaws, but where as with Blake I feel his idealism was the only aspect of his character that we saw, with Malcolm we saw other sides to his character too. Also I feel that Malcolm’s relationship with the rest of the crew was more fully fleshed out than Blake’s. Thus I am going to have to go with lovable rouge Nathan Fillion on this one. Two very similar characters. Kerr Avon and Jayne Cobb are both self servers who are shown to be perfectly willing to leave their ship mates behind in a time of peril or even sell them out. They look at things in a purely cold and logical way and have no loyalty whatsoever to any other member of the crew. 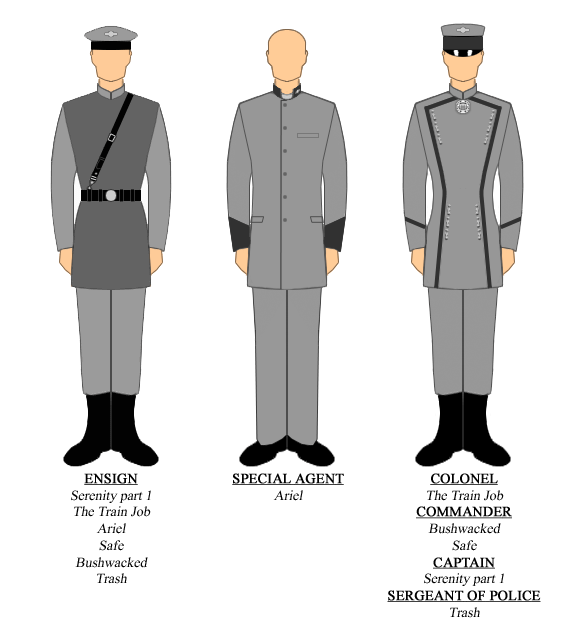 They serve as a wonderful contrast to their more honourable, idealistic, compassionate captains. Which one is better however? Well to me this was a pretty obvious choice. Avon. Avon was a truly ground breaking character. He was not sci fi’s first anti hero on television. Prior to Avon we had already had Jonathan Harris’s Dr Smith in Lost in Space. Dr Smith was certainly not your typical leading character. He was a murderer, a liar, a cheat, a coward, selfish, lazy, weasly and someone who would happily betray children just to save his own miserable neck. Despite this however the audience loved him and he became the main character in the series. To this day he is still the most remembered character from Lost in Space. However where Avon differed to Smith was that Avon wasn’t just merely the most popular or the main character. He was actually the hero of the show. Avon was every bit as bad, if not worse than Dr Smith, but where as Dr Smith was the source of all of the Robinsons problems and was always made out to be a fool. Avon instead would often save the day through his dirty underhand, cowardly means. 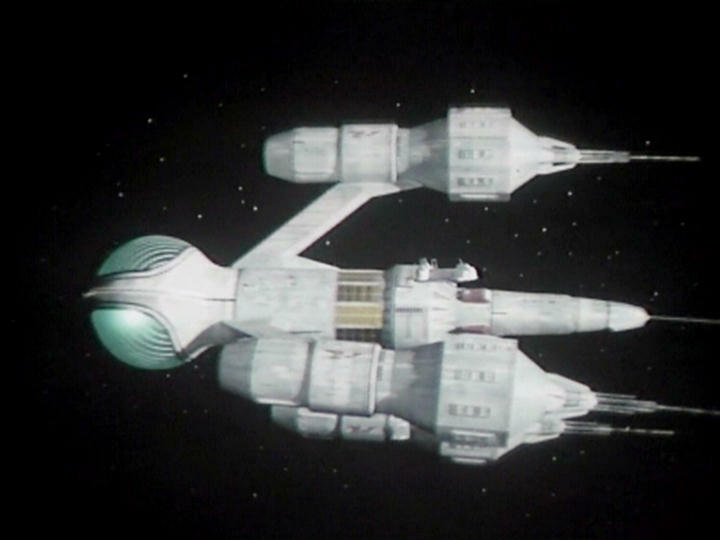 The classic example of this in the episode Animals, where Avon murders a scientist in cold blood in order to save himself and the rest of the crew. If this were Lost in Space and Dr Smith had suggested this, he would be howled down by the rest of the crew and the Robinsons would have found another way to save the day, with Dr Smith then promptly being humiliated in some way at the end. In Avon’s case however he manages to convince the crew to go along with it and is actually the hero of the episode because of it. At the end he remains thoroughly unapologetic about the scientists death and even jokes about it. “What about dr Paxton?” “Who?”. Jayne sadly just cannot compare to Avon. He is a good character, but he never got away with quite as much as Avon did. Jayne was actually more like Dr Smith in that he did do awful things, but was always proven wrong or even humiliated such as when Malcolm sticks him in an airlock. Jayne didn’t really bring anything new to the whole anti hero idea like Avon did. Also Jayne never took over the show like Avon did. Even before Blake left the focus was already starting to drift towards Avon and after Blake did leave Avon proved more than capable of carrying the series on his own. Indeed there are many who feel the show only really came into its own after Avon became the central character. I doubt that Jayne could have ever held the show as a lead character. Avon was just simply a much stronger character than Jayne ever was. 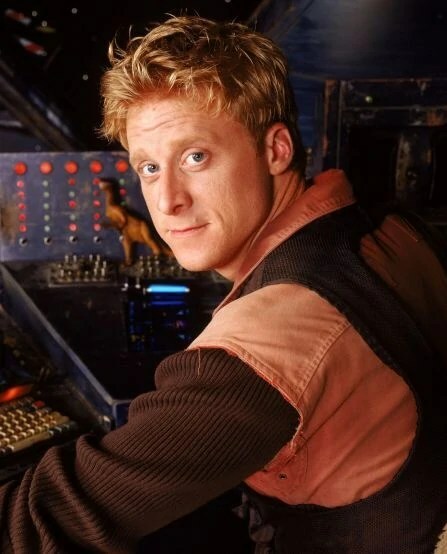 In fact I would say that Avon was better than any individual character in Firefly. Avon simply made B7 the classic that it was. Firefly wins this easily. I liked Cally but I think the writers did kind of fall into a formula with her where she would be the one who was always taken over by aliens. River on the other hand though her story arc was uncompleted, I felt she was simply a more interesting character. Also River gets points for being way more badass than Cally anyway. River could kill you with her mind. Two very good villains. This is a hard one, but I think Servalan has to take the prize. Servalan is one of the greatest tv villains of all time. After Avon she is arguably the character people remember the most from Blake’s 7. The Operative was still a great villain. In some ways he was even more frightening than Servalan. Servalan was a sadist, but she was completely insane, where as the Operative was a sadist yet he felt he was justified. He felt that he was building a better world, and that any atrocity he committed was worth it in the long run. Villains who think they are on the side of right are always more chilling. However Servalan had far more of a screen presence overall. Her interaction with the main characters, particularly Avon and Dayna was more interesting. I loved the way the more she took from Avon, the more she humiliated him, the more the formerly laid back cynic was driven down the path of madness. I might also add despite being the villain of the piece, Servalan never got her just desserts. In fact she was the only character ironically who most certainly did not die in the entire series. Thus I have to give this one to Blake’s 7. Again I am going to have to go with Blake’s 7 here. The Alliance were great, and probably a little bit less cartoonish than the Federation at times, but the Federation were a far more terrifying enemy. What they do to Blake in the first episode alone, brainwash several children into believing they have been raped by him, in an effort to discredit the resistance is far more horrifying than anything The Alliance did in all of Firefly. Technically the Liberator is the better ship. In a one on one fight it could outrun and destroy Serenity in about five seconds. Still despite this I prefer Serentiy. The Liberator at times seemed a bit too powerful where as I liked the way Serenity did seem a bit more vulnerable yet quite cosy at the same time. I also preferred its design too and felt it was realized a lot better. Firefly wins this round. I do like the B7 theme but the lyrics to the Ballad of Serenity were great. Blake’s 7 wins this round. Wash was a much better character than Gan and his death was just as shocking. However it was the reaction to Gan’s death which made it better for me. The reaction to Gan’s death was quite unsentimental which I felt was more fitting, as in the situation our heroes where in, no one really had time to grieve. They just had to move on as they were in constant danger. I also liked how Avon tried to used Gans death in an attempt to discredit Blake and ruin his credibility with the others. Blake’s 7 wins this easy. 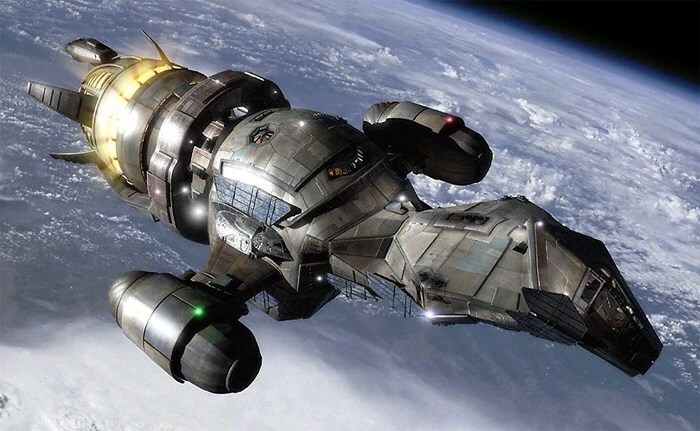 Serenity is a horribly underrated sci fi classic and did a good job of wrapping up Firefly, but Blake the last episode of Blake’s 7 is possibly the greatest ending to any cult series. Its hard to describe the shock the first time you watch Blake and see all of the main characters die violent horrible deaths. Its the boldest ending to any tv series. Even today with the likes of Game of Thrones such an ending would still most likely provoke outrage among the fandom. Even if Firefly comes bac I doubt it could ever top B7’s ending. Blake’s 7 wins 5- 4. As much as I love Fiefly Blake’s 7 is still my fave though to be fair it did have a longer run. Maybe if Firefly had gone on longer Id have preferred it, but as it stands I prefer B7.